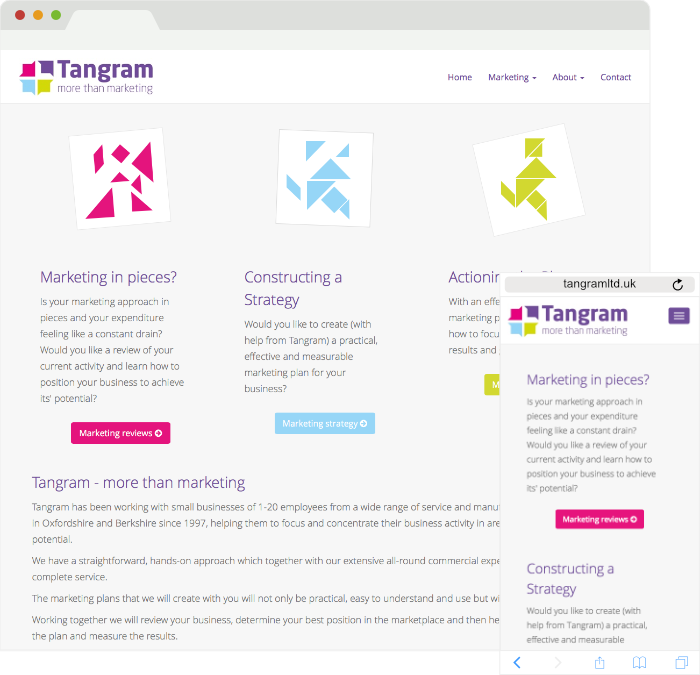 Tangram work with small businesses across Oxfordshire and Berkshire to help them focus their marketing plans and activities in areas of greatest potential. Tangram's responsive website was built using the Bootstrap framework. Saturn Fitness and Wellness is a family owned and run fitness, wellness and therapy centre. 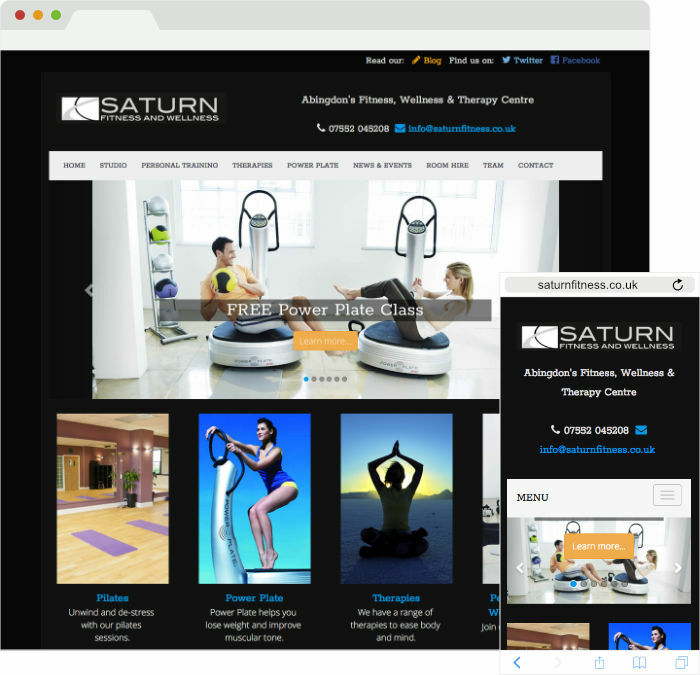 Based in Abingdon, Oxfordshire, Saturn offers a range of fitness classes and therapy sessions from Power Plate to Pilates & personal training and weight management through to osteopathy, physiotherapy and acupuncture sessions. The website is based on the Bootstrap framework and utilises the Perch Content Management System for content updates. 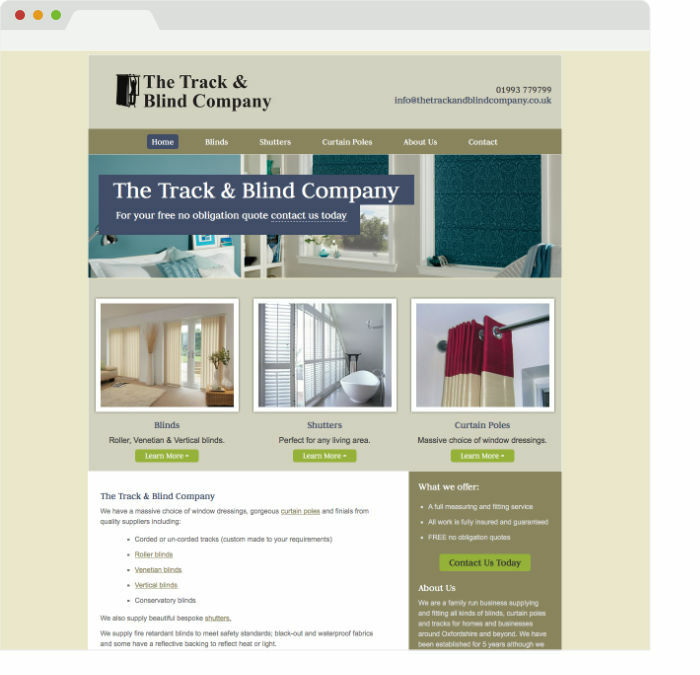 The Track & Blind Company is an Oxfordshire based family run business. They supply and fit all kinds of blinds, curtain poles, tracks and shutters for homes and businesses. 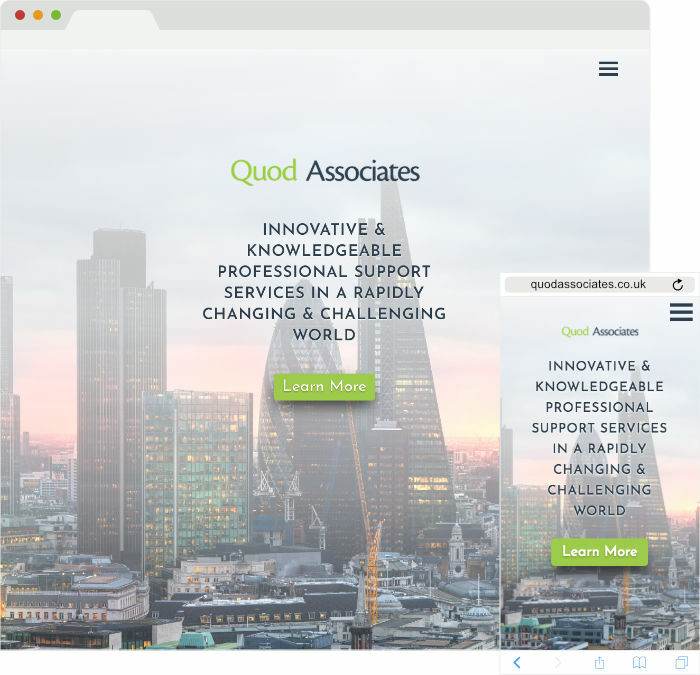 Quod Associates provides support services to a diverse range of clients. We do this through the unique skill set of our people who have all served in the Royal Marines and UK police service. 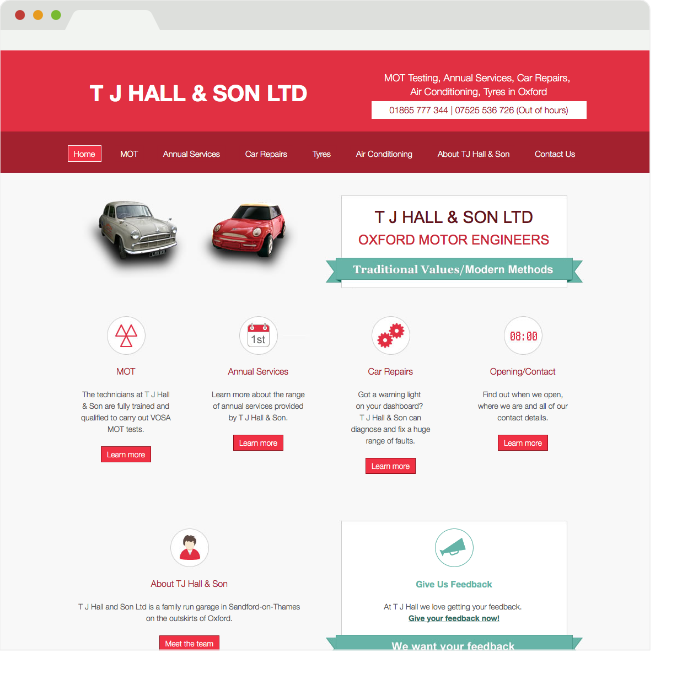 T J Hall and Son Ltd is a family run garage in Sandford-on-Thames on the outskirts of Oxford. They carry out MOT's, annual services and diagnostics on all makes of car. 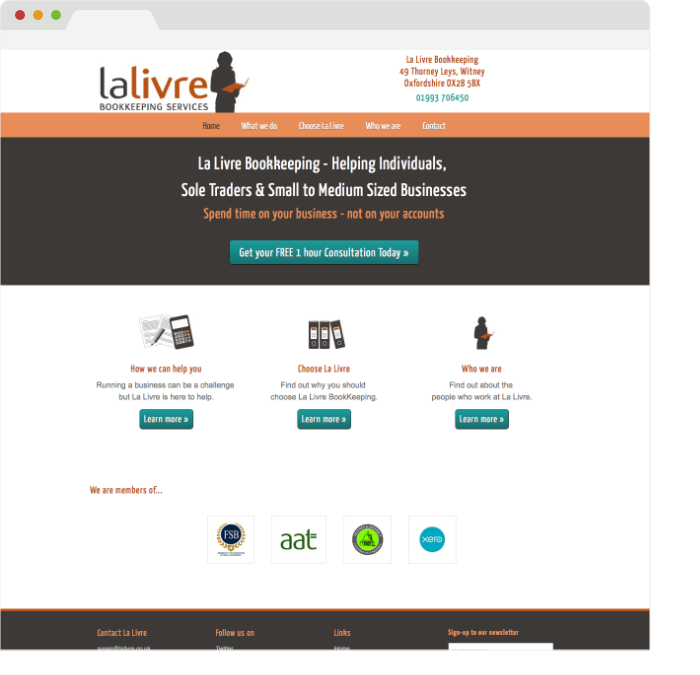 La Livre Bookkeeping help individuals, sole traders & small to medium sized businesses keep control of their business accounts. La livre can also produce monthly/quarterly management reports, issue invoices and chase outstanding debts.